Unless you are a chain hotel, there is no reason to use anything else. Pros: Simple, intuitive, easy to use. I love every view, and the flexibility of adding custom fields. Exporting customer data and payment data, through csv is a god send. The price is amazing for what you get...and the support is fast and reliable. I have used many different PMSs in my career, for both large chain, and small boutique hotels. Cons: It would be nice to be able to have different custom fields based on the type of customer (Transient, group, business traveler, or a monthly tenant.) Rather than the same fields for every reservation. I wish the payment details report could also show taxes and levies (if any) paid for each line item. The expense reports need a bit of work...but they are INCREDIBLY helpful for smaller business who do not have their own accounting system. I love the expense by vendor page for sorting out Booking.com/expedia commissions (and I love how it automatically calculates those commissions through our connection through myallocator.) However, the dates of those reported commissions are listed when the reservation is created....not when the reservation actually checks out (which is when the commission is actually charged.) This makes extrapolating, or verifying commisions from monthly commission bills (from OTAs,) more difficult. Overall: Pretty much flawless.....We've been using this system for about a decade now....I think it's gone down a total of 4 times during that decade (that's definitely over 99.99% uptime). Any downtime is minimal (usually a few minutes,) and things come back up with minimal hiccoughs. Honestly...this software...it's perfect for small-medium businesses. Great reservations system, integrates well with your web site, excellent features, highly recommend! Pros: Many pages of reports and settings, very configurable to our needs. Short learning curve to get going. Links are provided on many pages which can be sent to people or staff to load a selected report or page. Plenty of CSS configurations are available as well as "custom text" for things that appear on RK's pages. Cons: Not many, we have used this system for 6 or 7 years and once set up it is a daily part of our routines. I think there is still a small issue on bill totals, it doesn't agree with our cash register, off by pennies. have to hand calculate the 1st night deposit for longer stays. computers, Android/Apple phones and tablets while on the road. see and allow you go make important elements obvious with color and fonts, etc. RK does it all! Thank you for the great review! Yes, we have worked hard to make things as configurable as possible, while keeping the interface clean and simple. We are glad to hear you are enjoying those features. We will take a look at the report issue you've noted and will see if we can correct that. Love their Free Trial and the product they offer! Pros: I love the 30 day Free Trial they offer. 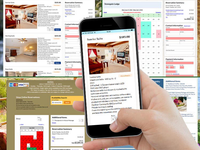 The product is really easy to use and the free trial allows you to decide if you like the product and if it meets the needs of your lodging business. I found that I really like the ease of use. I've used other reservation software programs and have found that often times you aren't able to see all the pieces of the puzzle in one place. What I like about Reservation Key is that I can see at a glance the daily rate, the minimum stay and any promotions that I may have incorporated. With other products I've found that I have to drill down and open up several windows to be able to see all of this information. Not so with Reservation Key. I also like how quickly information about daily rates and minimums can be copies over to in the individual rate plans that you set up. I'm still learning Reservation Key but am extremely happy with what I've seen so far. The customer service is great! If you have a question and cannot reach someone via phone they return your call very quickly and respond to emails. Lastly I like the guest user end look. 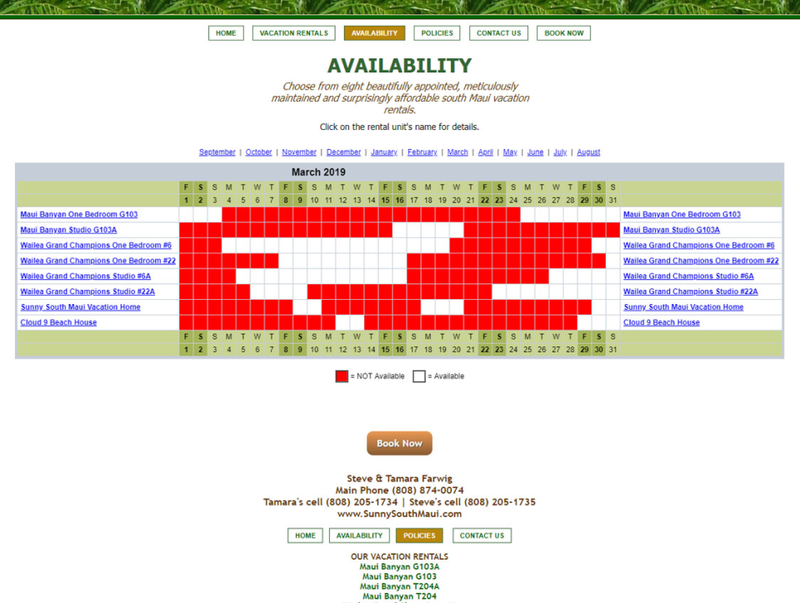 Availability is attractively displayed when a guest is searching for availability. 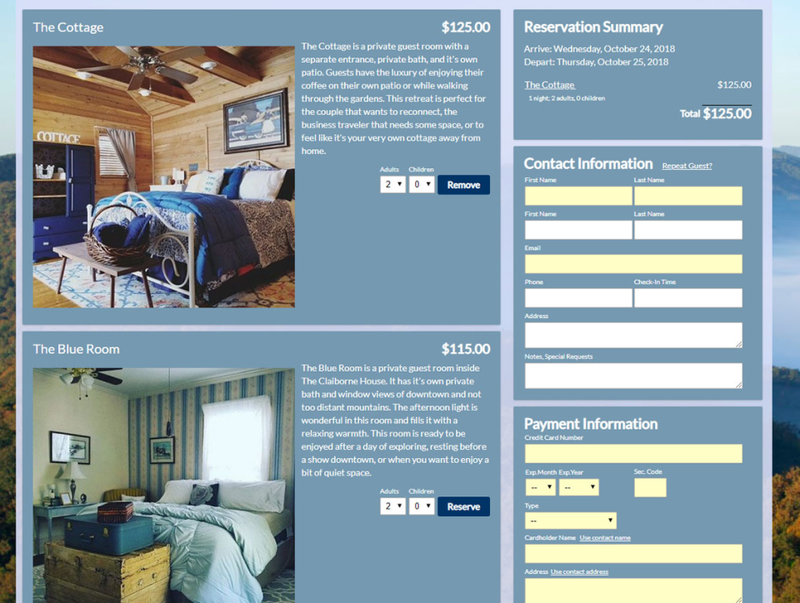 The page is displayed well and is easy for a guest to use to quickly make a booking. There are also many features included in this product and at a very fair price. I like the email templates that are included and the flexibility of being able to change them or to create your own and schedule the emails automatically. Cons: I would like to see more ready made templates for the availability display that a guest does see. Reservation Key offers a few limited ready made options, that said...they do offer to customize the look of that page for a reasonable fee. Well worth it if you would like the user end of the system to match the look and feel of your website. Overall: Very positive experience so far! I look forward to working with this tool more! Pros: We went straight on to Reservation Key when establishing our bed and breakfast some time ago. We wanted software that was fairly simple to get started and represented excellent value for money compared to the competition. Help was always available during this process and, since then, additional support has been readily available, often within 12 hours through e-mail and sometimes over the phone if necessary. Cons: Could do with a few more options for credit card processing. We went to Yapstone a couple of years ago and the cost of processing has increased beyond what I consider to be reasonable, especially for a small three room bed and breakfast. Overall: Reservation Key has been fairly faultless in helping me run my business. I wanted a simple platform to get me started in running a bed and breakfast and I have stuck with them for that reason, despite monthly calls from the competition. Thank you for your long time support and use of the system. Besides Yapstone (currently 2.75%) we also integrate with a number of other processors - authorize.net, Square, GoEMerchant, and PayPal. Pros: I've been using Reservationkey for years. It is reasonably priced, very versatile, so I can set up an interface that I prefer. It links well with other sites like MyAllocator, so all of my sites are in sync, which helps prevent double bookings. Most of all, the representative is very responsive. If I don't understand something or I want to do something unusual, he helps me get the problem solved quickly and graciously. Reservationkey is constantly being expanded and improved, so I am even more satisfied with it now than when I first started using it. Cons: It can be wonky, sometimes I have to use a little html to get exactly what I want, but that just adds to the flexibility. I'm sure that if you don't know any html, the representative would take care of your needs directly, though. Yes, by adding HTML to most of our fields it is possible to really get creative in what you can do. As you've noted, we are happy to help out with this whenever anyone has questions about it. Pros: I have found Reservation Key user friendly and intuitive. I have appreciated the technical support when I have had questions on the inner workings of Reservation Key. We bought and started to run C'est La Vie Inn Bed and Breakfast a year ago with no previous experience in running a B&B. It was hit the pavement running and Reservation Key made this transition much easier with its day by day display screen showing current reservations and those that have, for a variety of reasons, have cancelled. I have enjoyed setting up rate plans for the rooms as well as the rate adjustments for local special events that tend to lead to peak occupancy. I would certainly recommend this product to others. Overall: I have found Reservation Key user friendly and intuitive. I have appreciated the technical support when I have had questions on the inner workings of Reservation Key. We bought and started to run C'est La Vie Inn Bed and Breakfast a year ago with no previous experience in running a B&B. It was hit the pavement running and Reservation Key made this transition much easier with its day by day display screen showing current reservations and those that have, for a variety of reasons, have cancelled. I have enjoyed setting up rate plans for the rooms as well as the rate adjustments for local special events that tend to lead to peak occupancy. I would certainly recommend this product to others. Best system for the money, excellent support, great for newbies and experienced users! Cons: Since I am being forced to choose something I like least, I suppose I'll go with the themes, but that's not really a negative....ask for help and you shall receive! Overall: Absolutely excellent! From functionality, to support, to progress, 5 stars. Pros: -That the designers truly cared. They were active in the User Forum. We could suggest ideas and see them be implemented. -The price point made it a simple decision to to sign up even when we had just a few units. The time saved by using RK more than paid for the Monthly Fee. It was a great return on investment. Cons: -It doesn't push our listing content to Online Tracel Agents. We just update those manually. -The Property Listings have just a TextBox to describe the prooerty. It would be nice to have some standard fields like "# of Bedrooms" or "Square Footage" so that the information could be displayed more consistently. Overall: We love it! If you have a handful of units and are still using spreadsheets to keep track of reservation data, do yourself a favour and sign up for RK. Easy set up, and helps owners provides a higher level of service to their guests. Definitely worth the investment. Pros: Super-responsive customer support where you can talk directly with owner of the business who seems to be intimately involved in the actual software development. (Probably does his own coding, is my impression.) He engages with you until you have a solution, and is very appreciative of suggestions and feedback, always improving the software. This is full-featured software, but from a small business that is still super-responsive to its customers. Cons: Still a few odd quirks with the software, in my opinion. Like the tax is calculated by item and then added up afterward so it often does not match to the penny the tax that is charged by my credit card processing system - so I have to make manual adjustments on receipts. Overall: Extremely cost-effective solution for easily tracking bookings and customers for my small B&B. I tried several others over the 16 years I've been in business and am very happy to have finally found something that works well for me! Pros: I can modify so many things on my own. Whenever I need an answer to a dilemma, I just go to the Tutorial Page and search out my problem. Or, I just sign onto the Forum and look for a similar situation to my own. Case in point, I was able to adjust my confirmation template on my own just by using the search mode on the Forum and I'm all set with a solution to a problem. Cons: Sometimes I wish there was a chat option but I understand how the team feels about this program and they have very hands on. Overall: Over time with experience, I have been able to communicate with my guests more efficiently. It makes my website look much more professional with this software and it presents my property as an up to date, modern facility with the technical capabilities of a much larger property. Thank you for the nice review and idea about having a chat option. That could be a nice enhancement we add in the future. We are glad to hear you find our forum and tutorials useful. Pros: It essentially runs the back end of my business as well as it links to the front end through our website and online calendars. Cons: It was difficult to set up but one it was set up any questions I had got answered quickly. I would like to to be able to add a cleaning schedule that links with my calendar so I could create a schedule for my cleaners that showed specific check in check out dates and the names of the parties. Overall: I love that fact that when we had a question the founder of the company would respond. He was always willing to solve problems or create software to solve our questions. He is great and I hope he never sells the company to a larger company that does not care about its customers like he does. Thank you for being long time users and for your nice review. We do have two housekeeping reports that you could take a look at to see if those would work for your cleaners. 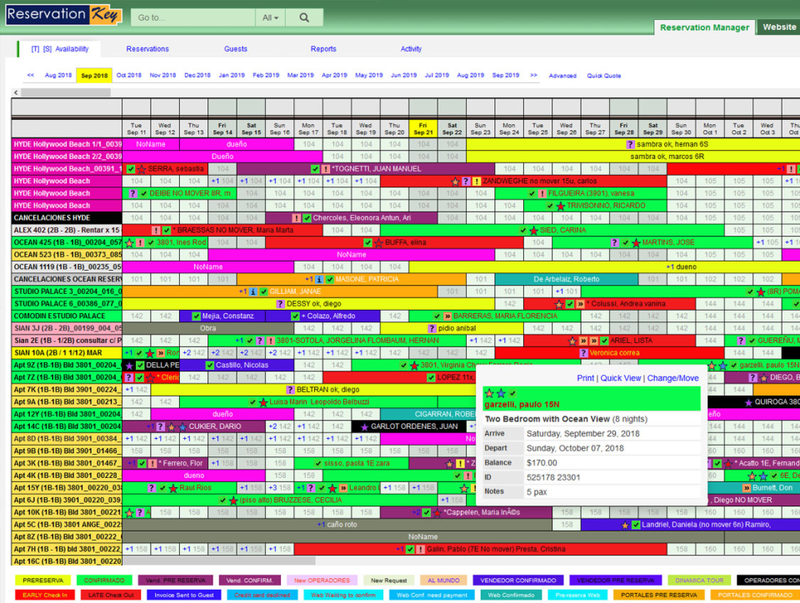 We also have a way to link to calendar reports, so perhaps those could be used for the cleaners. Pros: We have used for several years, price is reasonable and it does what I need. Prior to using Reservation Key we used pencil and paper and took reservations by telephone (many years) wife isn't a computer person. Reservation Key allows our guests to book online and does a good job in my view. I check the RK forum often for new ideas and my education. Cons: At the moment I can't think of any negatives, does what we need. I see others comments about minor differences in money totals, having worked with a database in a prior job, well every bit of software seems to round a bit differently. 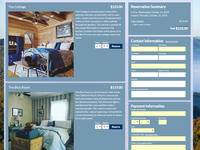 Overall: Having used pencil and paper for our small motel for over twenty years Reservation Key allows us to offer guests the chance to book or view available rooms online and cuts out a ton of telephone calls. Pros: The software is easy to use and intuitive. If you have a question, it's easy to search the FAQs and find a detailed answer with links to their blog and videos on how to get where you need to go. Additionally, they are pretty quick about getting back to you about a problem. Cons: The only thing we think could make this better, is easier integration with the third party sites, without having to buy another piece of software to interact. Yep, we agree, we need more direct connections to OTAs such as booking.com and Expedia. These projects are top on our list. For these channels we work currently through a channel manager. 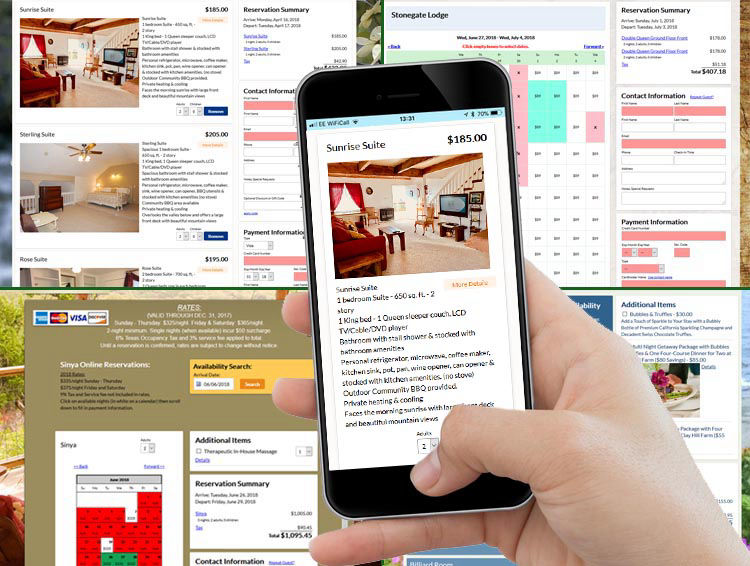 We do have a direct connection with TripAdvisor TripConnect and iCal links work well for Airbnb and VRBO among other. Thank you for your very nice review, and for being a long time user of the system. Pros: The platform is flexible, with the ability to make many different reservation pages. 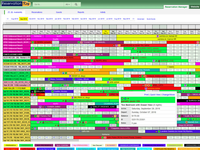 It also works well with MyAllocator and iCal calendars for interfacing with outside platforms. Cons: 1) Guest addresses are all in one text field...organizing marketing efforts to previous guests by zip code is problematic. 2) Only one alternate rate plan can be used in a reservation page...it would be helpful to have more available to apply to various marketing sources. Overall: ReservationKey has worked well, and has been improving over the years that we have been using it. Customer service has been good when issues have come up. It actually is possible to split the address field into multiple fields. This is an option under the Settings tab, Account Preferences. Thank you for using the system and for your review. Pros: Flexibility, amazing support for questions, ease of use, email templates (with tracking capabilities), access on my computer and iPad. Cons: There really is nothing I am unhappy with. Overall: I started a small hotel 7 years ago with never having been in the business and no idea where to start with a reservation system. Another hotel recommended Reservation Key and I am glad I followed their advice. From the beginning, it was very easy to set up and learn. Also, they continue to refine and add features. I am also amazed how fast and thorough the support is. The system is very easy to use but it also has LOTS of functions that I can sometimes forget. No question is too small for an answer, and it is easy to search on their support site for most answers. I do not hesitate at all to recommend Reservation Key to others. Thank you for your very nice and supportive comments! Pros: I like that it allows online reservations and collects and helps me manage the data. Cons: It is a bit complicated to set up and get ot to do exactly what you may want it to do. But once you set it up, it is easy to use. Overall: I have been using Reservation key for more than 5 years to manage my 3 room Bed and Breakfast here at Dreams Come True on Maui Bed and Breakfast. I looked at other alternate systems both before and after deciding to select Reservation Key. It is the least expesive option and seems to give me everyting I need to accept online reservations, manage my calendar, including synching with my airbnb and VRBO calendars, and analysing my data for tax reporting and setting up policies to maximize my occupancy. I would recommend Reservation Key to any small accommodation provider from a single unit vation rental to a 50 room inn. Pros: The customer interface for my guests is simple and easy to use. 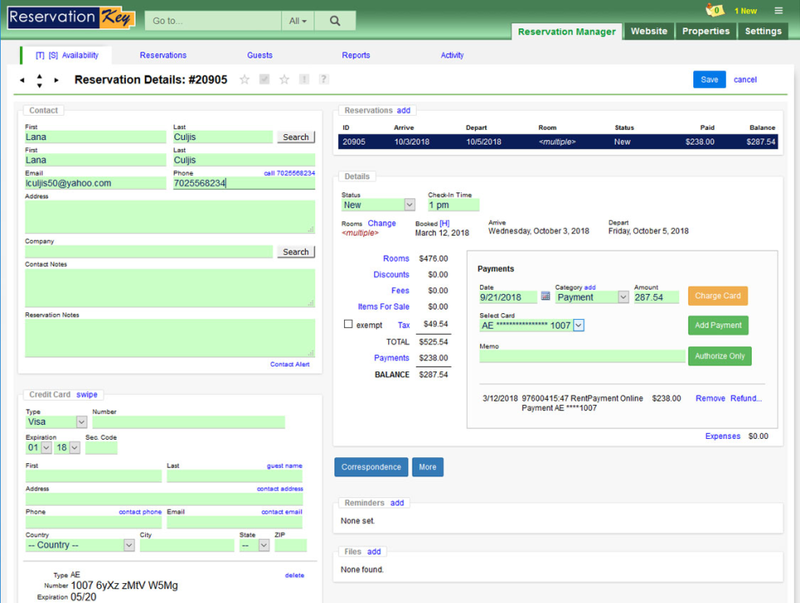 The back office contains numerous useful reports: occupancy, revenue by room, year-by-year comparisons, taxes collected by month or quarter, even sales by item so innkeepers can easily view which add-on packages are selling the best. There are so many reports that I've only used about 50% of them! Cons: It's sometimes a little difficult to find the information I need because of the numerous reports & pages. However, a huge portion of this difficulty is me not remembering where to find something, like the url link information. There are a lot of training videos available to help users navigate though the system. Cons: There is nothing I don't like except that the interface with expedia isn't done yet. Expedia integration is high on our list. Also booking.com. These are the two channels we see our clients connecting to the most so we are putting a high priority on building these direct connections. Thank you for your support and for being a long time subscriber. Pros: I literally spent about a month researching different software programs for our reservation needs and reservation key hit the mark. We have over 50 properties that we rent and appreciate the ease of use and functionality of reservation key it makes our lives much easier and helps us get more business by freeing up our time to focus on renting. Pros: We have been using reservationkey for several years and appreciate the fact that we no longer have to search for reservation management software. Before we signed on with reservationkey we would find ourselves searching for a new system every so often because we had some problem with the one that we were currently using. We can now find no reason to look for another, as reservationkey provides everything we need in functionality, support and ease of use. Cons: Can't really come up with anything here. Overall: We have easily linked to Expedia, Bedandbreakfast.com and other lodging web sites. I'm sure that if we ever do run into a problem, it will be addressed and solved expeditiously. Pros: We have been using ResKey for several years now. Love everything about their system. When I need to change something on our system, the forum offers lots of answers and the team has created videos as tutorials to assist as well. Overall: I love the fact that if I can't figure something out, the team will respond to my request in a reasonable timeframe to help me resolve any issues I may have. Great customer service. We really like making custom videos to answer questions and teach the system. We find it is one of the best ways to go. Thank you for mentioning you have found our videos helpful, and of course for all your nice comments here. Excellent Option for Online Reservation Software! Pros: The ability to customize your reservation page using ReservationKey is a major benefit. Additionally, the staff are very responsive to customer input and continuously make improvements to better serve their clientele. Cons: Some of the features require multiple settings to be set up perfectly otherwise the system doesn't work as intended. Overall: Our Bed and Breakfast has a lot of nuances that many other reservation software companies could not accommodate where ReservationKey excels. After the initial set up, ReservationKey has saved us a significant amount of time on repetitive day-to-day tasks. We look forward to all the new features that will be added in the future! Pros: ReservationKey allows me to handle more clients in less time and take reservations while I sleep. Cons: It does take a while to set up but once you have it set up it is like auto pilot. Overall: I have been using ReservationKey for about 5 years. I was skeptical to move to this platform as I have tried other reservation systems only to be disappointed. The move to ReservationKey was the single best thing I have done to grow my business. ReservationKey allows me to handle more clients in less time and take reservations while I sleep. Customer service is very quick with all questions answered within 24 hours. Thank you ReservationKey for transforming my rental business. Great Value for Money and all the functions you need! Pros: Great value for your money. 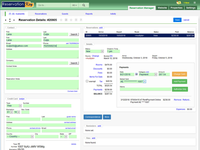 We also really like all the features that the tool offers, like reporting tools, calendar view, customer data base. The tool is very easy to use, and efficient. Cons: The booking page is very old school, and not very pretty. It also does not give you a lot of room to edit if you are not an advanced coder. Having said that, it works very efficiently. Direct bookings come through without any issues, howerver I would like to provide to my guests a more user friendly, and modern reservation page. I am sure Reservation Key will improve this part of the tool. Pros: Taking reservations on my cell phone while in a grocery store is nice. There is nothing else I need it to do. I set it years ago and it works great. Cons: I am not having any problems with the software at all. Overall: We have run 2 Inns with a total of 20 rooms for around 18 years. Reservation Key was my 4th software program that I had used and I started using it around six or seven years ago. Hands down, it is the best. I have recommended it to several other Inns in our area B&B society and they are all glad they made the switch. Thank you for the nice review! We are glad to have been able to work with you over the years to help with refining and developing the software. Pros: Fast, no errors, great service, fully responsive, i am very happy to have found this amazing system. Cons: It is only in English. It would be great if the reservation page could have multi languages. Overall: I get good bookings, easy for my clients to reserve online, I just love it! Note, we actually do have an option to make reservation pages in Spanish, or whatever language you like. It uses our custom text feature, where it is easy to enter your own translations of our English terms (or load one of our Spanish, French, or German templates and edit from there). Then it is easy to add a new page in every language you need. Pros: Flexibility to customize for your individual needs and the company is not corporate run! Cons: The company is super eager to please and the few unavoidable problems that occur with the software of this complexity were always addressed and solved. Overall: Love that you deal with the owner directly and reasonable requests for improvements are usually implemented rapidly. You never feel that issues go unaddressed. One of the things we like about being a non-corporate type company is that we are able to work so closely with our users. Without our user's input and ideas we never would have been able to build the system that we have. Thank you so much. Pros: Reservation does everything I need it to do, and a lot more. The ReservationKey staff are very responsive, both to technical support questions and to requests for product enhancements. Almost every month there's some new feature added, often something I never even thought of, but once it becomes available, I can't do without it! Overall: ReservationKey very reliably runs my business for me. Well, almost. I guess I do a little, but it's so easy it's like having a full time staff helping me. Pros: I am new to the tourism business. Reservation Key has been very easy to get used to and use as a tool to keep track of reservations, payments etc . It has an activity button that reminds you each thing you did within the program in case the need to undo a mistake. Cons: I miss the feature in which you used to hover the mouse over a name and it would show the balance due. Also, you used to be able to right click and in the quick view change the status to 'checked-out' where as now you have to open the reservation which takes just a few seconds longer. Overall: This software is inexpensive, easy to use, and the support team responds quickly and patiently to requests. Pros: Cslendar ease of use, including drag and drop! Email templates, auto sending for payments, confirmations and followups. Just the best software I've used continuously for the lifetime of my Inn. Overall: Marketing to my customer history base has been easy and we've promoted our property every year. Our high season guests always need reminders and this software is easy to set up to accomplish that mission. Pros: ReservationKey is very affordable compared to other systems out there. It can be customized to fit your needs and if very easy to use. When you need help with features you can post to the forum and the customer representative will get back to you in a timely manner. You can also search the forum and find answers to almost any questions you have. Cons: The initial setup can be a little time consuming but between the forum, FAQs and help videos it is not too hard. Pros: The thing that I like the most about ReservationKey is how easy it is to use. It is simple to use but has options to personalize to what best works for our company. Overall: We have been using ReservationKey for several year and not had any problems with the software. There is always quick response on all questions that have came up. I would recommend this program to anyone. Thank you! We have tried to develop a fairly sophisticated product, but one that continues to be easy to use and learn. Pros: The software is very user friendly with several instruction videos. Reports are easy to navigate and run. Cons: As the company expands sometimes we can experience a lag in response. They have worked on this and we now are not experiencing problems. Fast response to emails when we do contact them with problems. Overall: We find ReservationKey vital to our operation. We always have a fast response to emails we send to the technical team. They do continue to improve the software and we appreciate the attention to detail. Pros: This system is a great program. They respond to any issues very quickly. Every issue I have had would not have been an issue if I would have read just a little farther in the instructions. They are awesome and continually are added new features! Cons: I have used ReservationKey since 2014 and have absolutely no problems with it. Overall: Moving from a more expensive program with less features to ReservationKey was one of the best business decisions I ever made. Overall: My income has increased, no more double bookings or forgotten bookings. It has made my life much, much easier. Pros: Response emails are automatic. Easy to cash out clients and add extras. Easy to customize. Overall: I am a former Webervations client. This system is far superior. I search for alternatives every year and have always found this to be the best. We have considered adding a module to be able to send text messages from the system. This may be an option we add in the future. Cons: just 1 thing missing: for bookings where more than 1 invoice needed (ex. touroperator orders and pay for room - guest pay for food and extras) you have to add 2 bookings and hide 1 of them. Would be nice when you can create 2 or more accounts in 1 booking. Pros: I love the online booking, discounts is shows, the owner reports, and so much more. There is not one thing that we do not like about it. Cons: There isn't a thing that I would change. They are continuing to add more features as technology changes. Overall: 100 stars, CSR is awesome. We have been with them since 2009. Save alot of money and never look back. It is worth 10 times the price. Thank you so much! And thank you for being a long time user. Overall: i think we have one of the best reservation system for the money. Thank you for being a long time user, and for your nice comments. We are constantly tweaking our servers to best match the demands on the system. With Amazon Web Services, our host, this is pretty painless to do, but unfortunately there have been a few times when the changeover hasn't been perfect. Pros: I like EVERYTHING about this software. I've used it since I opened my doors in January of 2005 and it's the only software I use for my vacation homes. Overall: I don't have to worry about over bookings, customers book online and pay online as well. We have incorporated our lease packet into the software as well and only click one button to send that out with every reservation. Easy peasy!! Pros: over the years there have been constant improvements that make the value for the dollar very good. Cons: Difficult to use years ago. There has been a great improvement for rate specificity holidays and flexible periods. Overall: One of the rep has been very responsive to customer requests for help. There was always a response for our questions. Recent years have seen development into a much more user friendly interface. Res. Key is a Great value. Best Reservation software package out there. Pros: We were a long time customer of Rezovation Web and were looking for a similar product to replace it. ReservationKey has all the features I need plus more. We use a lot of color tags to show the status of each reservation and ReservationKey gave us that. It's real easy to book a new reservation or just get a quick quote for a customer. It's very flexible and able to fit any situation you may have. After looking at a lot of others, ReservationKey is far and away the best one out there. Also, the price can't be beat and there is no long term contract. Cons: Not much to dislike about ReservationKey. It has so many options. The learning curve may be a little steep at first. But help is out there. Either by the user forum or in house tech support. Now if I'm really picky, the guests' state should have a drop down menu to chose from. Overall: ReservationKey really came in and saved the day for us. We are now able to continue our business as before with even a better program. The tech support is exceptional and quick to respond. Pros: Ease of use of the software, easy to learn. Cons: There has been occasions that the system goes down. We work hard to ensure the system is always online. Over the past years our up-time has been really good. Even so we know there have been a few occasions where things went down briefly, and we continue to work to improve to make sure that doesn't happen. Thank you for your review and using the software. If there are problems yo can always contact them and they will be resolved as quickly as possible. Overall: Years ago we decided after a long search for reservation key for our B&B and we don't regret it. We have been using reservation key for more than 7 years. The executive is always improving the functionality. Thank you for being a long time user of the software. While the system works best for reservations six month or less, it should also handle longer ones. We are always working to improve and regularly updating the system to better handle our client's needs. Treehouse Vineyards Reccomends Reservation Key! Pros: We have been using Reservation Key for years now. Our staff have all been able to use this software with no complications or trouble learning the system. Cons: We do not have any issues with Reservation Key! You were our first treehouses on the system. We love seeing creative uses and having a wide mix of clients. Thank you for your long time support. Cons: not much, would like to talk to a real person once in awhile, but they do respond quickly with e-mail. Overall: top notch reservation system. I have not had any problems. This reservation system works well for my business at a reasonable cost. Pros: Reliability of the software - GREAT! Overall: Res Key has worked incredibly well as a reservation system for our BB. Great reliability and excellent customer service when needed. 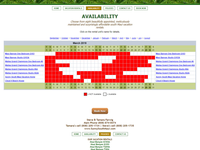 Overall: I have solved the calendar of my properties and my website with online reservations.